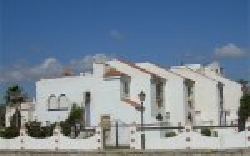 VILLAS AND APARTMENTS TO RENT IN SABINILLAS, SPAIN. Welcome to our selection of holiday homes to rent in Sabinillas, Spain. The village of Sabinillas, or San Luis de Sabinillas to give the place its full title, is part of the expanding resort of Manilva, located at the western end of the Costa del Sol. Sabinillas is smaller and quieter than most resorts on this stretch of coastline, with few of the high rise hotels and apartments that tourists might expect. However, you are within walking distance of both Manilva itself and the popular port of Duquesa, with all their facilities and attractions. Sabinillas is still a fishing village, as well as an up-and-coming tourist resort, and one of the best acitivities, if you can get up early enough, is to walk down to the port and watch the local vessels unloading that day�s catch. With the huge number of fish restaurants located in this area, there�s every chance that you could be sitting down to eat what you have just seen landed by lunchtime! This does mean that visitors have to share the beach at Sabinillas with the local fishermen and their boats, but there is plenty of room for both, with the tourist beach kept clean and separate from the working area. Sabinillas has a pleasant promenade that runs the length of the town, and which is popular with locals, ex-pats and tourists alike for their evening stroll. It is also the location of the weekly street market and during the summer months many stalls will set up here on an evening, selling local crafts and souvenirs. You can still find plenty of authentic Spanish restaurants and bars in the Sabinillas area, but the presence of a large British community means that if you want a taste of home, there are bars that serve fish and chips or full English breakfasts too. Sabinllas is a great base for exploring the Costa del Sol and some of the popular inland tourist destinations. The sherry town of Jerez, the white Andalucian villages and Gibraltar are all only a short drive away or you can find an organised tour from the town or neighbouring Manilva. It is even possible to drive to Algeciras and take the ferry over to North Africa for the day; a truly unforgettable day trip. Closer by, the port of Duquesa is another popular tourist town, with its busy marina, pleasant beaches and wide selection of bars and restaurants. It is even close enough to go there for the evening and get a cheap taxi home to Sabinillas. 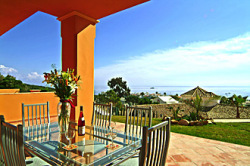 Looking for self catering holiday accommodation in Sabinillas? Then below is a selection of holiday villas in Sabinillas and holiday apartments in Sabinillas that can be rented direct from their owners. You can either click on each listing for further details or you can use our search engine on the left if you are looking for something in particular.